Mercer Island head coach Samantha Marziello is in her first season leading the program. The Mercer Island Islanders displayed their potential in the season opener on the volleyball court. Skyline registered a 3-1 (25-22, 19-25, 25-18, 25-21) victory against Mercer Island in a nonleague volleyball matchup on Sept. 12 at Mercer Island High School. 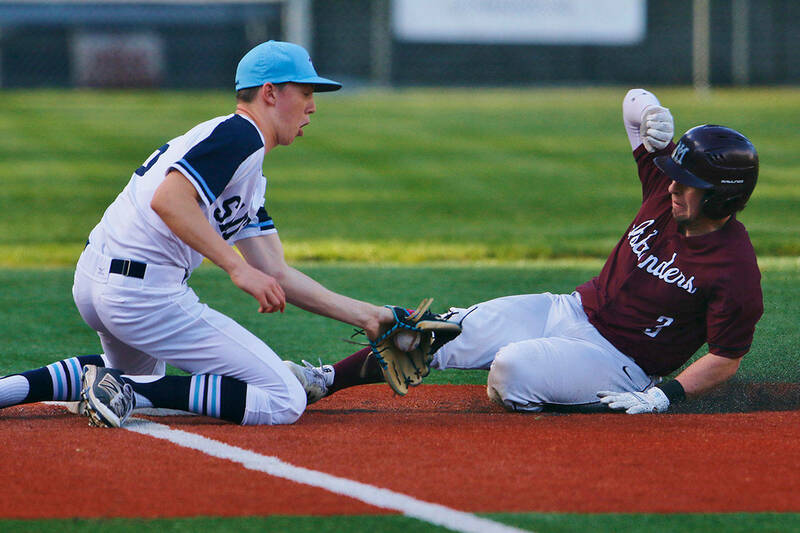 Skyline improved its overall record to 2-2 with the win while Mercer Island dropped to 0-1. Mercer Island head coach Samantha Marziello wasn’t deterred despite the loss in the season opener against Skyline. “The goal for the team is to win state (title). I think that should be the goal for every team. We have a lot of work to do. We have a young team and we have a lot of new players playing next to each other. I have a lot of hope for us going forward and have seen improvement every single day,” Marziello said. Junior Tess Fisk dominated the action in the first two games for the Islanders. Fisk’s timely kills kept Skyline off balance throughout the match. “Tess is a wonderful all-around player for us. She plays the front and back row really well,” Marziello said of Fisk. Marziello, who is in her first season leading the Islanders volleyball program, currently works full time as a senior financial analyst at Nordstrom. “I had never coached high school before. I did a lot of skill coaching for club teams on the East Coast. I also did some skill coaching at Stockton University (Division-III school) in New Jersey. Coaching is my passion,” Marziello said. When Marziello saw the opening coaching position leading the Islanders volleyball program earlier this year, she didn’t hesitate to apply for it. Skyline senior outside hitter Katie Biscocho and junior Lauren Parker had two kills apiece down the stretch, scoring four of the Spartans’ final five points in the fourth and final set of the match. Skyline head coach Callie Wesson said her team looks completely different from what it did during the 2017 season. “We graduated 10 players last year. Right now we are just kind of trying to find roles for everyone to fit in. Everyone is trying to find their niche. This is our fourth game. We’re still mixing up the lineups and trying to figure out what is gelling,” Wesson said.